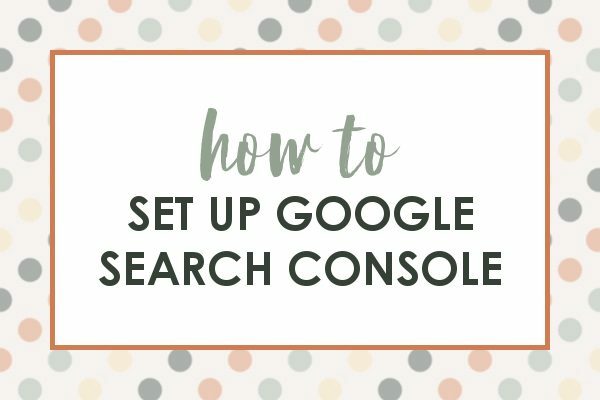 Make sure you have all the steps covered for setting up the Google search console for you site. There are 2 crucial steps you are probably missing! We all know that search traffic is extremely important, and it’s just as important to be able to accurately see all the traffic you are getting so that you can make blogging and content creation decisions accordingly. When I first set up my Google search console several years ago, I simply added my domain to the console list and called it good! Turns out there were 2 more crucial steps that I had missed out on completing. If you’ve never set up the Google search console for your site, or just want to make sure you did everything correctly, double check the steps below to ensure you’re getting the most from your organic traffic! Set up Google Analytics first, it makes adding Google Search Console much easier. First you will need to log in. If you have Google Analytics, log in using the same info as you do for your Analytics account. You can also log in with a Google account (needs to be the same one your analytics is attached to though). If you don’t have one, you will have to create one before you can continue on. Once you have logged in, click the “Add A Property” button at the top of the page. Or, the easiest method, verify ownership via your Google Analytics Tracking ID. If you already have a Google Analytics Tracking ID installed, then setting up Google Search Console is very easy. Simply click the Verify button, and that’s it! You may not know it, but Google actually views each version of your website address as a completely different property! If you have https enabled, you’ll need to add all 4 properties to the search console using the steps outlined above. If not, just add the two “http” versions. This will make sure that you are seeing all search traffic coming to your site, not just for the one version you added to the console. Repeat this step for all the domains you own. So if you have 2 sites, do this for all of their variations too. Once you’re set up, Google Search Console doesn’t really show a lot right off the bat. You have to wait about a week before any real data shows up, however something you can do right away is submit an XML sitemap. This helps Google to find content on your site and index it more quickly. Before you can submit a sitemap, you will need to create one. 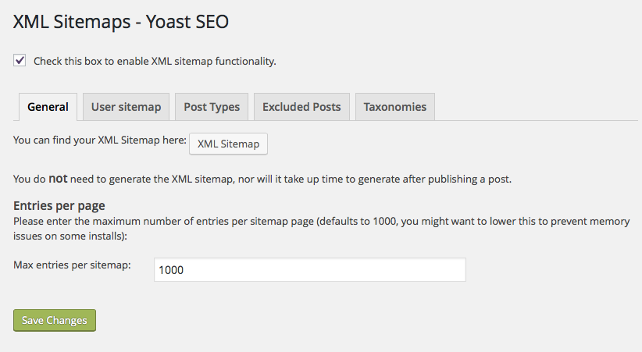 If you use WordPress, you can install the Yoast SEO plugin which will automatically create XML sitemaps for your site. To find your sitemap within Yoast, go to SEO in your left menu on WordPress, then click XML Sitemaps, then click the link under “Your XML Sitemap”. Copy that address for use in the next step. Next, go back to the search console, select your property, then click “Crawl” on the left menu… then “Sitemaps” and click “Add your sitemap” in the top right corner. From there, just enter the URL for the sitemap that Yoast created for you (just the part after domain.com/) and hit submit! Again, repeat this step underneath all the property variations of your domains. The address will not change, but it will need to be submitted for each version of the domain. Thanks so much for mentioning to add all variations of your site. I did have botth the http and https versions listed but not the variations that included www. Fixed that in just a few minutes. Ah Victoria, how do you ALWAYS know exactly what I’m thinking about my site lately? Your last 2 emails were gold and exactly what I was thinking “man, I should really do this stuff it seems important!” And then there you go creating an email and post with directions and reminders of what I need to do! Thank you! Haha, I love it Allie! I do my best! Glad it was helpful for you! !